The union is a huge contributor to the equalization of the job market. De-unization will only worsen the already large income inequality gap. 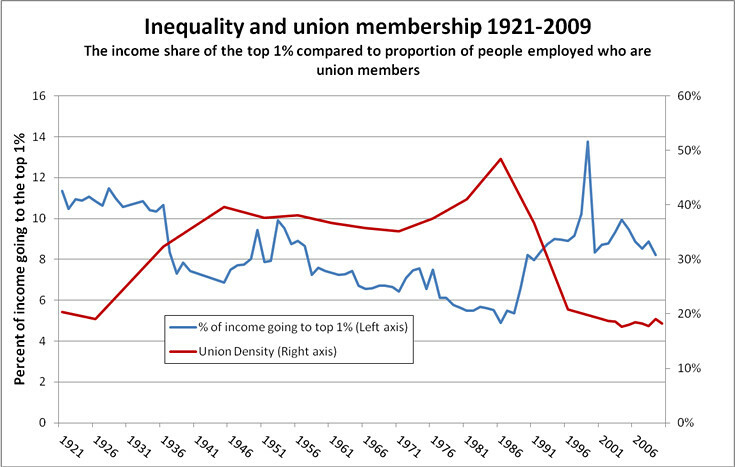 Unions help to increase wages as well as employee benefits. Through de-unionization, people will begin to get payed much less than they should be. They will also be denied essential benefits like health care. Many believe that Unions create a drastically high pay rate, with which other companies can not compete with. For more information regarding this ongoing issue of De-unionization, please read the following articles.